Foott Waste Solutions is the number one provider of Waste and Recycling services in Northern Victoria. With over 26 years in Waste Management we are specialist Solution providers to the Commercial, Industrial and Building Sectors. Our services include Bulk Bins and other size bins, recycling streams, building waste sortation, materials processing, food waste transportation, Event Equipment supply and Portable Toilet hire. We process and export waste paper to Malaysian and Chinese pulp mills as well as consult with an extensive global network to optimise recycling opportunities. One of our strengths is our honesty and our integrity with customer service and the joy that our customers have in working with us for a cost-effective outcome. We are proud of what we do. 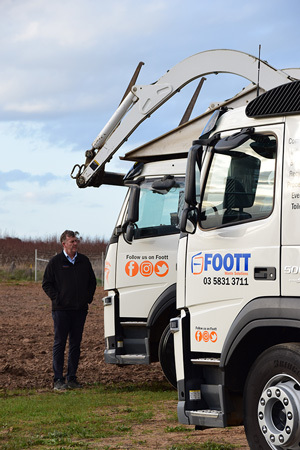 Commencing in 1992 with one truck and a dream in the beautiful Goulburn Valley, the Foott Family are proud of the business they have today. Transisting from manual handling to Front lift Automation in 1996 streamlined operations in the areas of Waste & Recycling resulting in significant growth. The Foott family saw an opportunity to complement their Waste Services and started Bloo Loo’s Toilet Hire in 2001. They are now the Industry’s largest supplier in Northern Victoria with over 400 portable toilets and All-Abilities toilets. Significant growth allowed the Foott Family to move their business into a purpose-built facility in 2006 in Carroll Road Shepparton. The business of Benalla Waste was purchased from the retiring owners in 2016 which has enabled Foott Waste Solutions to expand further into North East Victoria. In 2018, and having outgrown their current depot, the Foott Family purchased a 12 acre greenfield site in Carroll Road Shepparton with visions of building a modern depot for their expanding business. 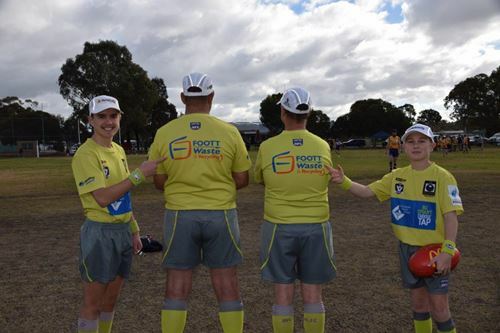 Rebranding to FOOTT WASTE SOLUTIONS in 2018 has allowed the 3 businesses of Foott Waste & Recycling, Benalla Waste & Recycling and Bloo Loo’s Toilet Hire to unify under the one banner. 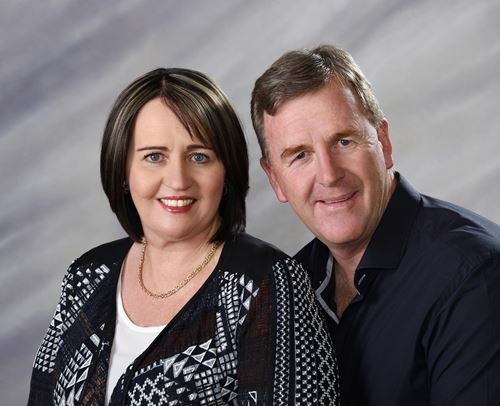 Peter and Jenny Foott have evolved their business into a leading Solutions based business in the wonderful world of Waste and Recycling. They believe that surrounding themselves with experienced and dedicated staff who embody the same values as themselves has been the key to the successful growth of their business. Eldest son Zane Foott joined the business in 2016 as Operations Manager. Previously Zane worked with Secon Freight in Melbourne as a Trainee where he obtained a Diploma of Logistics and was named as the 2015 Cadet of the Year of his Cohort. In 2015 he was the recipient of the TLISC National Trainee of the Year Award in the Logistics and Warehousing Sector and a finalist in the TLISC National Trainee of the Year Award. He is a member of the 2018 Fairley Leadership Program. Their 2 other children Aidan and Annalise are studying Degrees in Commerce/Law and Music respectively. At Foott Waste Solutions we take our role as one of the regions leading family businesses seriously. We are very much a part of the wonderful Communities in which we live and support opportunities to help address challenges and opportunities that they face. For the last 18 months a client of Connect GV with intellectual disabilities is employed by the Foott Waste Solutions for five hours every week and is a much loved member of the team. As part of our strong commitment to community education senior management regularly give presentations to both secondary and primary schools and conduct Bin Audits for companies and community organisations to help create awareness and minimise waste.